We are aware that some of you are experiencing an issue where you are locked out of your account. This is usually caused by having crafted a High-End backpack. We are looking to resolve this, it's one of our main priorities at the moment. Update: Thanks to your input we've been able to identify the cause of the issue. We have not yet pushed a patch for this, but it's our top priority in bug fixing and we'll deploy the solution as soon as possible. In the meantime, we would like to advise you not to attach mods on items you are not using. We'd like to thank you again for your cooperation and patience. Update 2: We will be deploying a fix in update 1.1 on April 12th that should resolve instances of the infinite loading/backpack issue. Due to this fix requiring a client patch, we cannot deploy it at an earlier date. We thank you for your patience. Did you have issues with missing items before being locked out: Yes first time was on the 15th a crafted holster disappeared along with a gun, I restarted a few times they reappeared. The 2nd time my backpack and secondary gun disappeared it took multiple resets to fix and when they reappeared my inventory number was glitched to 85 despite maxing out when 63 items held, this was on the 17th. What was the last thing you did before logging out: Fast travel to base of operations then closed application for night, inventory was still glitched displaying 85. Are you getting any error codes: No error codes, this is not a network error. There's as much info as I've got off the top of my head, anxious for regular communication on the matter and await any fix patiently hope there is an appreciation support staff side this is unprecedented in terms of bugs/issues and we are denied access to a paid game this issue might require a gentler touch than other issues raised when dealing with those affected. Edit: My inventory is probably sitting at capacity or close to, capacity with pack was 63 it's possible I was at 63/85 display at last log in possibly over capacity if my backpacks disappeared again. ITS BEEN 11 PLUS DAYS FOR ME AND STILL STUCK AT INFINITE CONNECTION SCREEN. When will there be a fix for us? WILL MY RANK AND GEAR REMAIN? Did you have issues with missing items before being locked out: Yes, all my high-end backpacks were gone, including the one I had equipped and the Tactical 249 Para I had equipped had all of it's mods missing. What was the last thing you did before logging out: Equipped another backpack. Are you getting any error codes: No, just the infinite connecting screen. missing many items including Cadeceus , high end gear besides backpack which i just crafted , gun mods missing off guns. Update: Something tells me that they've only started working on this the last day or two....This is getting to be sad. Did you have issues with missing items before being locked out: Yes BackPAck was not Behind Character's Back. So I went to Inventory to Equip it. What was the last thing you did before logging out: Equip High End Back Pack. Did you have issues with missing items before being locked out: Yes, just before getting locked out. Was your inventory full or overflown (over capacity): I probably had room for 10 more items in inventory. Many of the items I had, especially weapons, were loaded with mods but inventory showed available space. Need to have space to collect the loot. 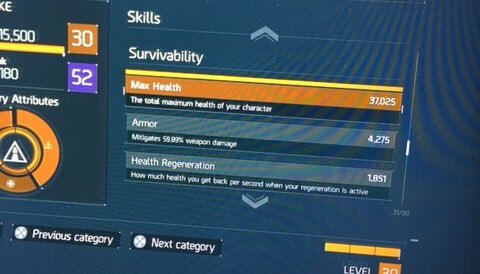 What was the last thing you did before logging out: Completed a challenge mission, Lexington I think. Got a HE backpack as a reward. Equipped it and joined a group. The loading did take extra long. 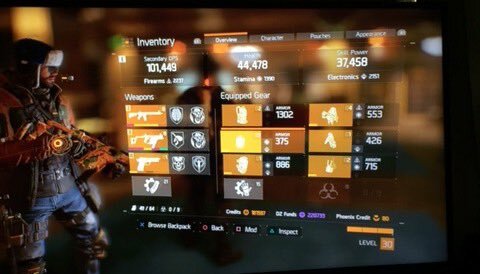 Items were missing from my inventory when I finished loading including HE M1A equipped as secondary that had dropped in DZ, HE equipped mask I crafted, HE equipped kneepads I crafted and the HE equipped backpack. The items that I had equipped before joining the group were grey. In additional, all my purple backpacks were gone. I still had purple masks and kneepads. I tried logging out and logging in and could see the M1A in the character selection screen but when I loaded in, the items were still missing including the M!A. Tried closing game and restarting and that is when I was locked out at connecting screen.